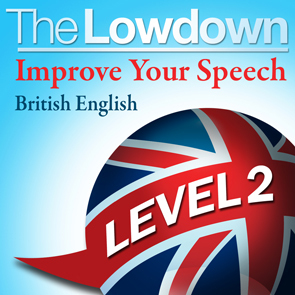 Listen to "The Lowdown: Improve Your Speech - British English - Level 2" on your iOS and Android device. In 'Improve Your Speech – British English Level 2' we'll build on the techniques you learned in Improve Your Speech – British English level 1. In Improve Your Speech – British English Level 2 we will help to take you even further, giving you helpful hints on how best to use your voice and tidy up your speech. You will discover the difference between 'doing a Dracula' and 'talking Chutney'. You will meet 'Pop' and 'Bob', two characters who will help you with the gentle D and aggressive T. We'll cover the knotty question of 'To Spit or Not to Spit' your Ts, and tackle even more common speech problems. We live and work in a global market – but English is still regarded as the international language of business. Clear speech sends out the message 'I am in control' - inspiring confidence in those around you. Clear speech will help you to maximise your potential, making you a greater asset to your company and your profession. 'Improve Your Speech' is aimed primarily at those who have British English as their first language, but it is also useful for those with English as their second language.